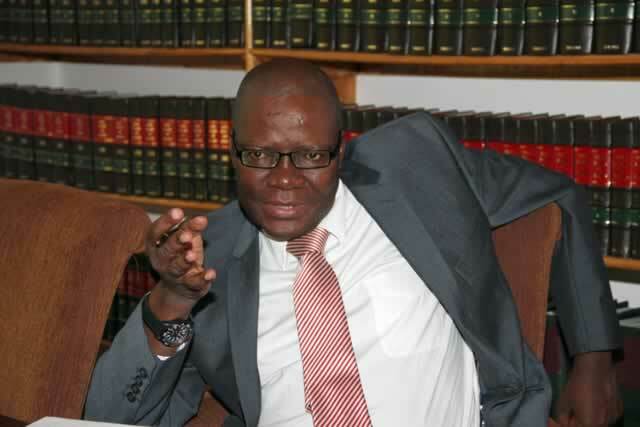 Former Finance Minister Tendai Biti says the recently introduced RTGS$ currency has failed to maintain a steady exchange rate thereby affecting people's savings. "The RTGS$ is a failed fraud. One cannot have an unbaked currency in the context of a terrible current account deficit where import reserves are less than a week's cover. RTGS$ is a serious devaluation of people's savings. It is voodoo economics from a clueless cruel cult." Said Biti. Biti also tore into the Monetary Policy Statement by the Reserve Bank of Zimbabwe calling it a failure which has led to the demise of the economic situation in the country. "It is now 5 weeks since the Monetary Policy was announced on 20 Feb. During this period, as we foresaw market disequilibrium has increased with the parallel exchange rate firming up to 4.5. The fixed exchange rate of 2.5 has failed. "Foreign exchange shortages have seen the return of massive fuel queues across the country. So too are shortages of drugs in hospitals. The disastrous refusal to pay tobacco farmers full US$ auction prices is a byproduct of the failed cataleptic Monetary Policy Statement." He further added that: "The solution lies in re-dollarizing the economy, protecting people s balances, scrapping the RTGS$ idiocy and joining RMU in the long term Solution lies in dealing with the crises of legitimacy, of confidence and trust deficit. Emmerson and his lot have failed and failed absolutely."